Woody's Garden & Property Services - Fencing/Gates, Garden Services based in Eastbourne, East Sussex. 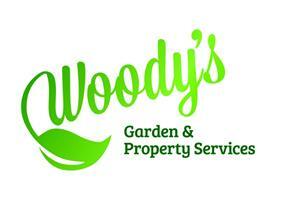 Woody's Garden & Property Services is a local, friendly, family run gardening business that has many years experience. Woody's offer a reliable, professional service, that is personal and tailored to each individual customer. We treat every garden like it was our own, ensuring it is left neat, tidy and pleasing to the eye. Woody's is fully insured and has full public liability insurance. Woody's undertake work on behalf of individual home owners, tenants, landlords, small local businesses and large corporate clients. Whatever your requirements we can tailor our service to your specific need. Please contact either Craig or Justina for a free no obligation quote. * Planting - planting service including supplying of plants/shrubs if required, hedge planting etc. * Jet Washing - paths, decking, patio's & drives power washed. * Landscaping Work - small re-landscaping work including turfing, paths, low maintenance gardens, chippings, planting etc.